Gender equality has become a hot topic, particularly with regard to the scarcity of female leadership in the technology industry. As more companies acknowledge that their C-suite is one-sided, many are also making a concerted effort to balance the gender split. This is great news for aspiring female leaders who feel they’ve been locked out of those positions by default. But, we must also recognize WHY gender equality is so important. Plenty of research shows that hiring and promoting with equality in mind, especially at the top, is critical for company success for a number of reasons. But, merely checking a box is not one of them. In order to be effective, equality must be a meaningful part of the culture, not just a metric. At Compeat, we know that equality makes us a better company. When I started as CMO in 2017, I was the only female executive. Our CEO and I both shared a passion to aggressively pursue female talent in the remaining executive positions that were open. Just over a year later, we’re extremely proud to say that we’ve achieved a 50/50 split. Not only is this rare among our competitors and even more rare among SaaS technology companies, but we also believe it has made all the difference in our growth, our innovation and our vision for the future. 1. Equality enables better decision-making. In our case, gender equality goes hand-in-hand with an extremely diverse set of personalities and skillsets. Regardless of gender, every single personality in our executive team is very different. We have introverts and extroverts, creatives and technical types — everyone brings a unique perspective. Each of us comes at it from a different angle, and we help one another see the problem and potential solutions from a perspective other than our own. As a result, our decisions are more insightful, more carefully considered and more inclusive. If we all looked and thought about things the same, we would miss critical details that could lead to the wrong decision. 3. Equality improves our product and service. Female and male brains are wired differently, think differently but are equal in value. Having that more inclusive and thoughtful vision in how we design our products, how we interpret the customer input for our products is incredibly valuable. If we relied on a homogenous perspective, our products and service would be limited in feature function and user experience. 4. Equality makes for better customer relationships. With a diverse executive staff by gender and by personality , we’re able to better align with our similar diverse customer base to nurture them through the sales process or respond to their questions and concerns. Because they’re more compatible, they relate better to one another and forge stronger customer relationships that enhance the value we provide. 5. Equality drives better work/life integration. Notice that I didn’t say “balance.” Balance implies equal share, and let’s be honest: that’s rarely the case. Integration, on the other hand, Is about flexibility – allowing us to take care of both our work responsibilities and our life responsibilities over a broader definition then the typical 8-5 mentality. When I travel for work, I tend to work really long hours and little to no family time. Other days, I have a family event or issue that needs my time and attention during the typical 8-5pm work day. Giving employees a little flexibility for something that is extremely important to them in their personal life can drive tremendous employee loyalty and builds a great employee culture. I’ve also seen this drive a desire in employees to dedicate more to our company and perform better in their jobs. We are also mindful that every employee is different. Equality means work/life integration for all, without favor for one gender or status over another. Many make the mistake of associating the need for flexibility with a working mother status when every employee has a need or a passion and each one is unique. I had a male millennial who was training for a marathon and asked to come in late twice a week to get a 2 hour run in. I’ve had a female 40 year old who needed a 2 hour lunch once a week to take her ailing father to chemo treatment and a working father who wanted to pick up his kids from school just one day a week. All of which, dedicated far more than the typical 40 hour work week to the company to ensure their job responsibilities were covered. We need to drop the old stereotypical definitions of males and females as times have changed. As an example for the first time in my 27-year career, I’ve been in meetings where two of our male executives had to leave to take care of dinner and kid bath time duties at home, while I was able to work late without ramifications now that I’m close to being an empty nester parent. My CEO is the first CEO I’ve ever worked for that is part of dual-income family sharing equal child rearing responsibilities. It is not just refreshing to experience for me but for all our employees to see these very different definitions of work/life integration. 6. Equality makes Compeat a better place to work. Because our employees see our executives model the work/life integration and flexibility that everyone deserves — and they also enjoy — they’re happier, more engaged and collaborate better. They see three strong female and two male executives successfully balancing parenthood with executive responsibilities and realize they, too, can have that same opportunity with our company. This aids tremendously with our employee recruiting and retention strategy. In the tight job market we’re dealing with right now, being a great place to work is a critical differentiator in attracting and retaining talent. For our company, gender equality in the C-suite isn’t about exceeding the statistics. It’s about making us a better, smarter, more agile company, where our employees are committed to doing their best work. By demonstrating that successful leaders come from all walks of life, and that we honor work/life integration for all, we’re building a talent funnel that enables Compeat to have a clearer, more insightful vision of how to satisfy our customers’ needs. As CMO of Compeat, Kristi Turner oversees product marketing strategy, competitive positioning, brand awareness, digital presence, customer retention, lead generation, inside sales, and internal and external communications. 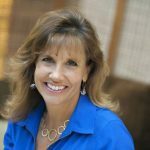 With over 27 years of domestic and international strategic business and marketing experience, Kristi has a successful track record for building scalable SaaS revenue growth, empowering employee cultures and customer centric marketing strategies.